Just looking at Brooke all I saw was smiles, they were there from the moment I walked into see the girls, and they did not stop all day and night – Have a look, seriously! 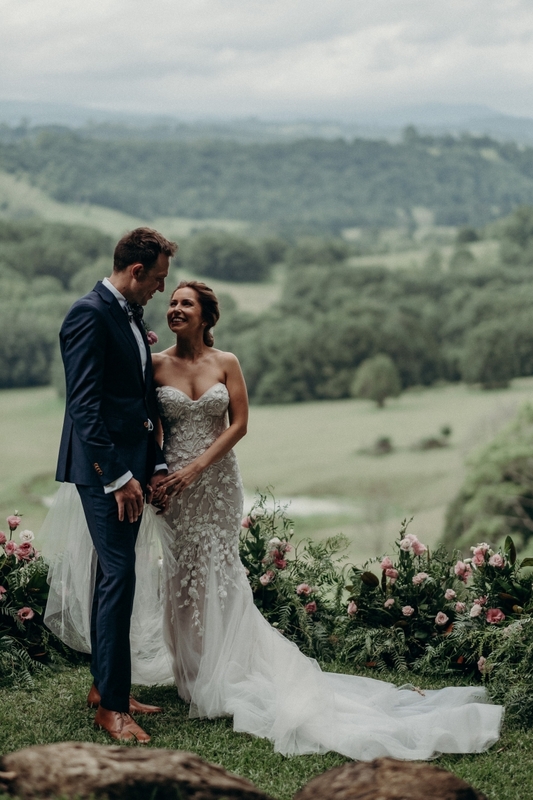 Brooke’s insanely gorgeous gown is by Leah Da Gloria. WOW, I’ve rarely seen a dress suit a woman so perfectly. I have always been amazed by beautiful dresses, they really are pieces of art in themselves. 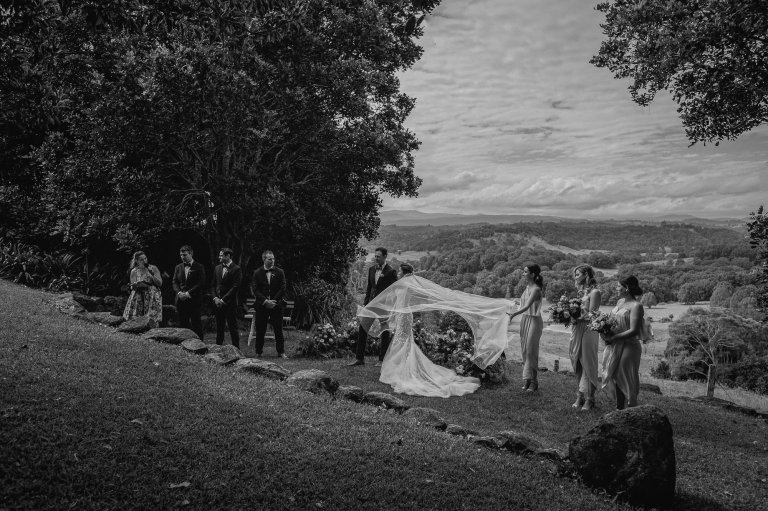 The elegant and subtle rose bouquets, and the unique ceremony floor, are by another Byron Bay super wonder, The French Petal. James wears a custom suit by InStitchu, he just matched Brookes elegance perfectly. James is a very lovely man too, he is such a pleasure to be around. 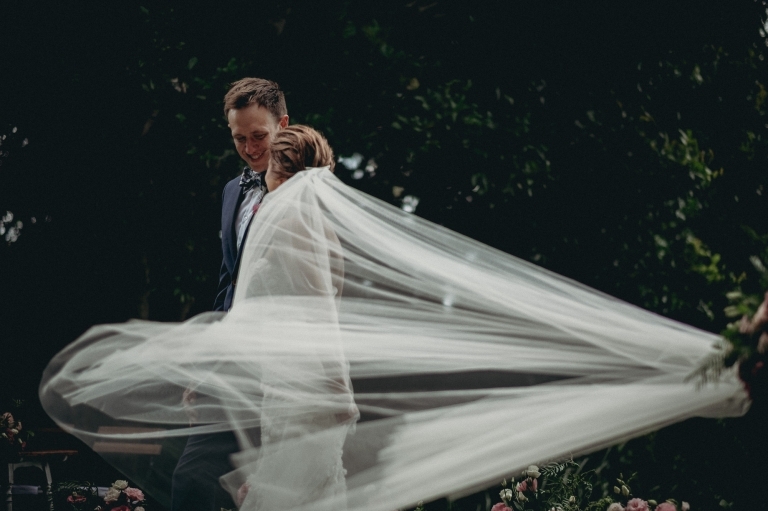 That is just James and Brooke, elegance, they are matched perfectly. 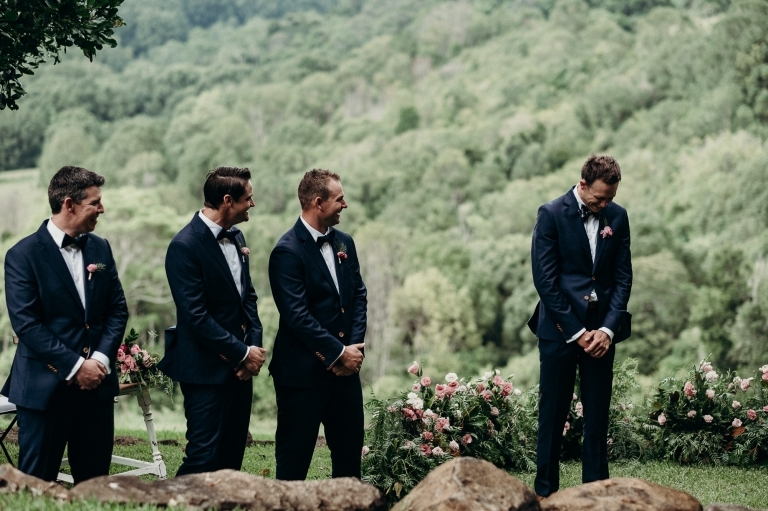 The words they speak together, about each other, and the emotion from all their loved ones at the reception speeches, I’ll openly admit creates a feeling of humbleness in me. James and Brooke will be happy together forever. I also feel privileged every time I am invited back to The Earth House. Thank you to everyone for making it happen for me again, so much love to you all! A huge thanks to my good friend and superb Photographer, Pete Oakman. Pete helped out on the day when my very pregnant sister Hannah was not able to make it along. The following Byron vendors are also fabulous. Thanks for bringing Brooke and James’ day together. 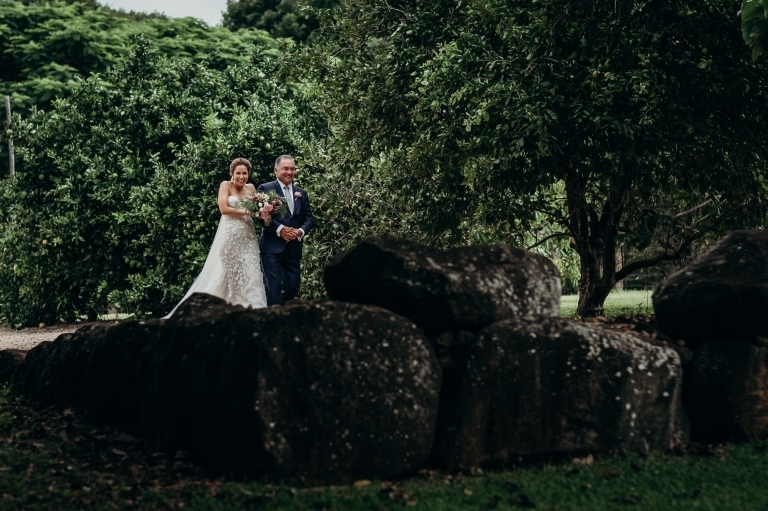 Have a look at our latest feature regarding our favourite wedding venues in the Byron area, as The Earth House is featured in there.